In our last post, we created a business group that we will use now to create a reservation of resources for. 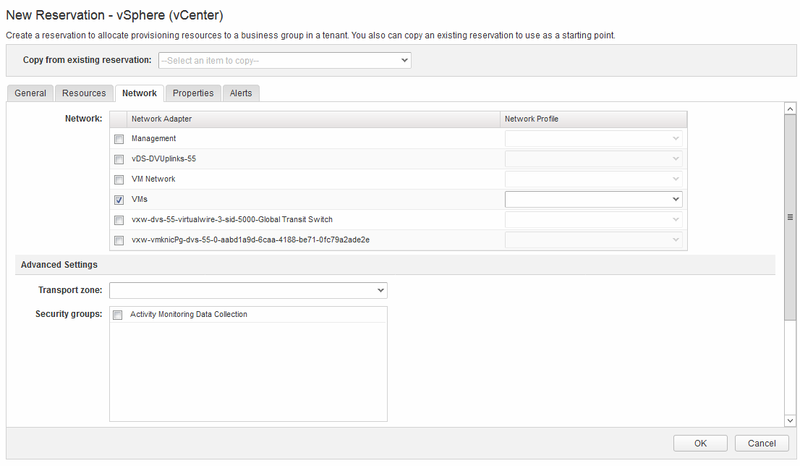 A vRealize Automation reservation is a means to allocate resources in a fabric group (CPU, RAM, Storage, etc.) to a specific business group. To begin, we need to navigate to Infrastructure > Reservations and click Reservations. Give the reservation name. Select the tenant. Select the business group that was created earlier and also set a priority. The priority is used when a business group has more than one reservation. 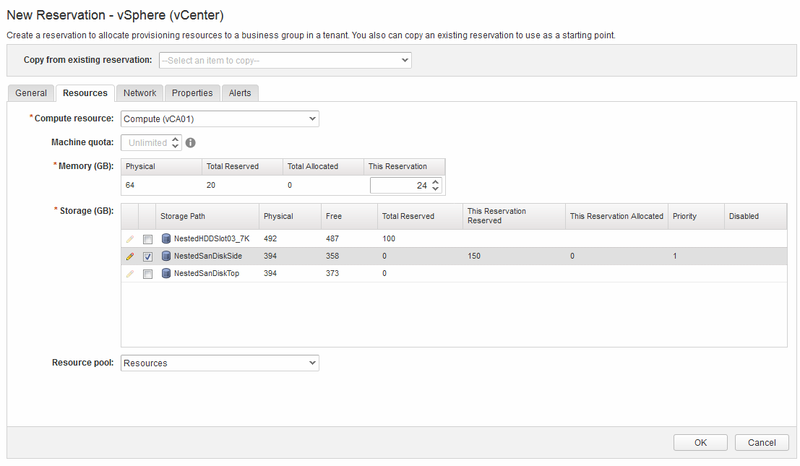 A reservation with priority 1 is used for provisioning over a reservation with priority 2. Click the Resources tab. Select the Compute resource. Once you select the compute resource, it will show what resources are available to you. Enter in your memory reservation amount. Select your storage device and enter in the amount of storage you want to reserve. Also set your priority. This comes into play if you have multiple storage devices selected. Under the Network tab, select which network/port group/logical switch that your VMs will connect to when they are provisioned. If you are using NSX, the advanced setting is where you would select which Transport Zone you will be apart of and what security groups to associate the VMs with. 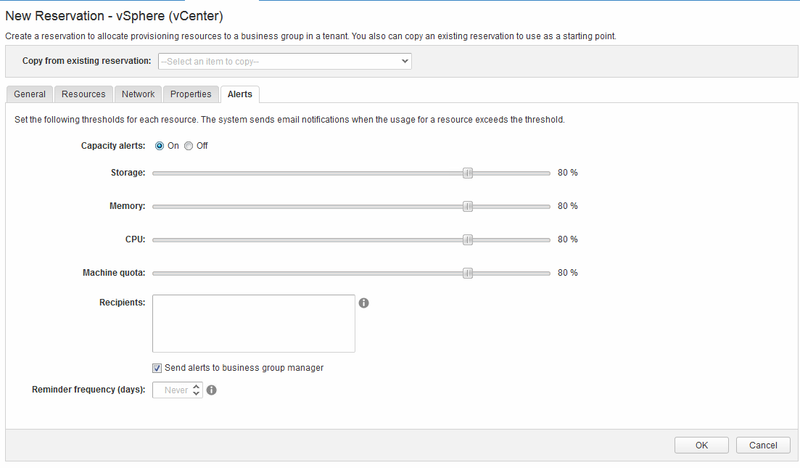 Finally, under the alerts tab you can setup your alert thresholds when your resources reach a certain level of usage. Click OK to finish up creating your reservation. So to recap, we create a reservation to limit the amount of resources that a business group can use from a particular fabric group. This will allow the business group managers the freedom to control their own set of resources while at the same time giving the administrator the piece of mind that the vSphere environment will not be over provisioned.